Do I really need to introduce John Carpenter? If not, please skip the next paragraph. For all the others, here's what you've been missing out on.. Seriously, do I really have to explain it?? *sigh* Oh well here goes. John Carpenter is an influential director, ever since his 1974 debut film Dark Star, of a wide variety of sci-fi and horror movies (although he has occasionally directed other genres), many of which went on to become cult favorites. The Thing (1982), Halloween (1978), The Fog (1980), Christine (1983), Escape from New York (1981), the list goes on and on.. And while most haven't exactly been huge box office successes or even critical successes, there is no denying that pretty much all of them bear the very distinct marks of a Carpenter movie. It's pretty safe to say that his biggest successes were in the late 1970s and throughout the 1980s and I dare you to find a fan of 80s cinema that isn't in some way smitten with one or more Carpenter movies. A big fan myself, I count The Thing as one of the greatest moments in cinema history and it's easily my favorite horror movie ever. One of those distinct marks of a Carpenter movie is the soundtrack, for which Carpenter composes and performs the music himself. And while there are a couple of exceptions where he didn't perform the music for the movie he directed (The Thing, for example, featured the amazing score from Ennio Morricone) most of them were and he served as composer for lots of other movies. All of the non-Carpenter directed Halloween sequels have a Carpenter score for instance. And even when the movie itselft was so-so, you could always count on it having an amazing soundtrack. So, everyone more or less up-to-date with the info? Good, let's proceed with this review and focus on the very first Carpenter album that isn't connected to any of his movies. "Lost Themes was all about having fun. It can be both great and bad to score over images, which is what I’m used to. Here there were no pressures. No actors asking me what they’re supposed to do. No crew waiting. No cutting room to go to. No release pending. It’s just fun. And I couldn’t have a better set-up at my house, where I depended on Cody and Daniel to bring me ideas as we began improvising. The plan was to make my music more complete and fuller, because we had unlimited tracks. I wasn’t dealing with just analogue anymore. It’s a brand new world. And there was nothing in any of our heads when we started other than to make it moody." Other than making this lengthy review even lengthier, this does explain why "Lost Themes" sounds so incredibly fresh, while still sounding 100% Carpenter. Seriously, the first couple of seconds I listened to this I was instantly transported back to the heydays of his movies and their compositions. And yes, it does sound more complete and fuller, as he states. The fact that he works digitally on top of just analogue (and there is plenty of it) doesn't distract, and all the tracks retain that typical analogue sound. Let's compare it to CGI enhancing prosthetic effects.. Having been recorded digitally only enhances the enormous depth and clarity. Sure, it's bombastic and over the top at times, but man, it sounds amazing.. It's all there, the arpeggiating synths, the brooding synth swooshes, fantastic hardrock guitar parts, propulsive beats, melancholic synth themes. Notice I mentioned the word 'synth' a couple of times there, because that's what a Carpenter score is all about: HUUUGE synths and bombast. That's not to say he doesn't tone the bombast down occasionally but moments like that are sparse. But let's face it, a Carpenter wouldn't really want that now would he (or she)? There has been a whole revival of the 80s soundtrack-y synth sounds with artists like Umberto, Nightsatan, Majeure, Zombi; even Portishead's Geoff Barrow made a brilliant unreleased score for the 2012 Judge Dredd movie that was total 80s worship. But how awesome all of these artists and their records are, John Carpenter shows them he is still in the game (even though he turned 67 last month) and shows them how it's done. 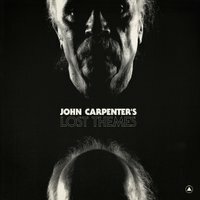 Encouraging you to make up your own movie in your head that these tracks could accompany, John Carpenter has created a dark, bombastic, epic masterpiece of synthesizer tracks. The movies don't exist but hearing this you almost wish they would. Even though his last movie, 2010's The Ward was a slight letdown, this album is anything but. Essential.